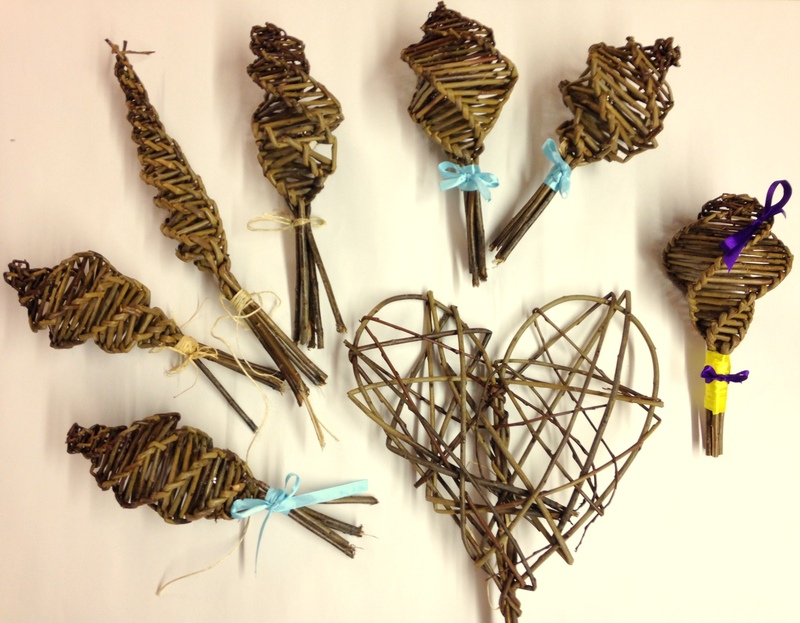 We’ve been making some willow rattles this morning, with a group of young mums. It took a while to get used to manipulating the stiff willow stems, but everyone got there in the end. We wove bells into the rattle cavity and the young women personalised the rattles for their babies by adding coloured ribbons – they looked (and sounded) very sweet, and the babies loved them!